Originally published under the title "American Muslim Woman Demonizes Egypt's Persecuted Copts." At a time when Coptic Christians are suffering abuses "every two or three days" in Egypt, a Muslim woman in America has made a video [see MEMRI translation] calling for more Muslim hostility against the Christian minority, in this case, in the guise of an economic boycott. In a video, Ayat Oraby—a Muslim Brotherhood sympathizer who has nearly 1.5 million followers on Facebook—recently called the Coptic church a "bunch of gangsters," a "total mafia" that "rules [Egypt] behind the curtains." The Copts are reportedly "stockpiling weapons in churches" and "striving to create a Coptic statelet" in order to continue waging "a war against Islam." Meanwhile, back in the real world, which consists of 196 nations, Egypt is the 22nd worst nation for Christians to live in; the persecution level that Christians experience is formally categorized as "severe." For decades Christian churches have faced immense restrictions that mosques, which liter Egypt's landscape, do not; Coptic women and children are regularly abducted and forced to convert; entire Christian villages and churches are set aflame on the rumor that a Christian somewhere "blasphemed" against Muhammad on social media. 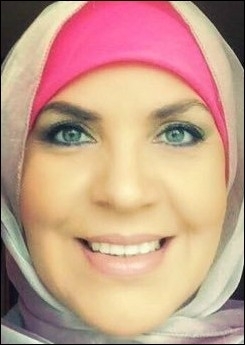 But Oraby is not one to be bothered with facts; according to the angry Muslim, Muslims need to be more hostile towards the Coptic Christians—whom she numbers at only 4.5 million—for they are "stockpiling weapons in their churches" in preparation of that day when they proclaim a "jihad" on Egypt's 80 million Muslims and declare a "Coptic statelet." That Oraby hates Copts simply because they are Christians—as opposed to all her nonsensical talk of a hostile Coptic takeover—came out very clearly towards the end of her tirade, when she said: "They [Copts] must learn very well that the Crescent [Islam] must be above the Cross [Christianity.]" In other words, her anger is not because the Copts pose a danger to Egypt's Muslims, but because they dare to want equal rights—when they should know their place, that is, beneath Muslims, just as the Cross is well beneath the Crescent in Egypt. Oraby is an old breed of Egyptian Muslim. Her ancestors—like the ancestors of practically every modern Egyptian Muslim—were Coptic Christians who, after Islam's invasion in the 7th century, couldn't handle the persecution and discrimination, and eventually sold out by converting to Islam. It irks Muslims like Oraby to see the remaining descendants of Egypt's indigenous Christians still defiantly holding out and even daring to call for the equality that her family only got by surrendering to Islam.